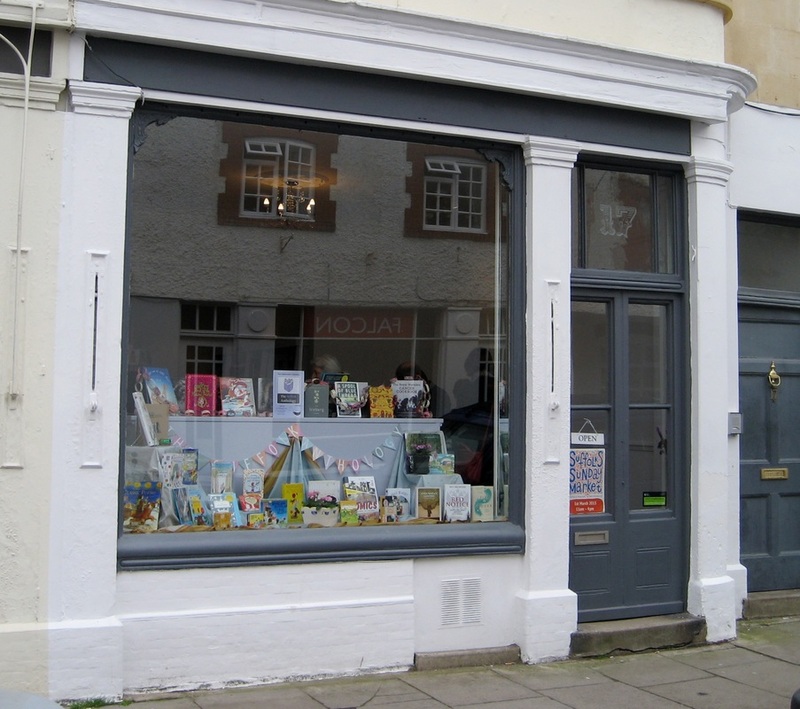 In 1830, at about the time that Suffolk Parade was developed, number 3 was probably occupied by a shopkeeper called Richard Claridge, although it is not clear that he actually ran a shop from these premises. By 1838 this had changed to a Miss Matthews, who was listed as being among the "resident gentry" of the town. The commercial development of the property had occurred by 1850, when Richard Lamb had a chemist shop here. He left Cheltenham in 1855, after which the premises were taken over by Mr Edward Gregory, a surgeon-dentist. 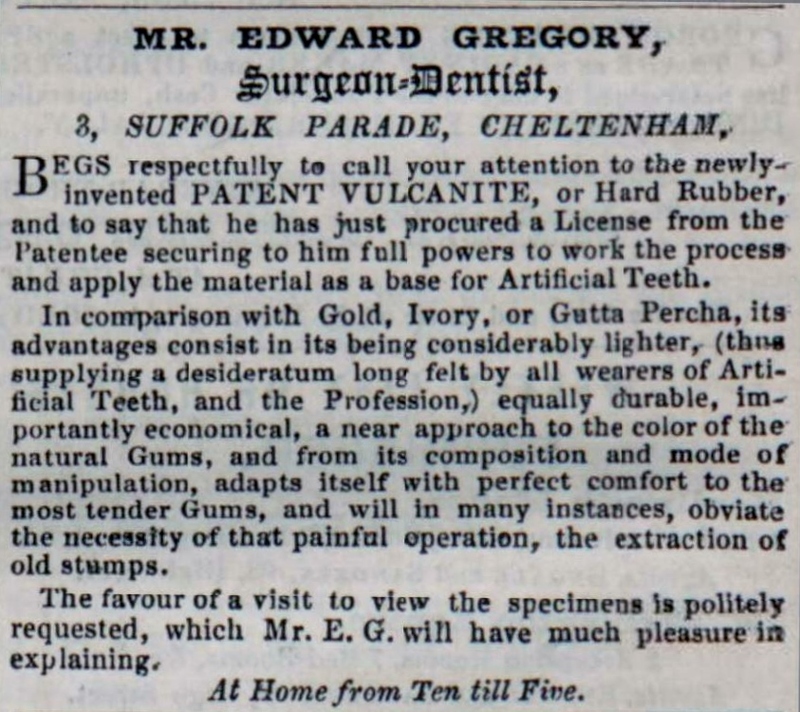 His advertisement of 1859 may cause us to be thankful for modern dentistry! He soon sold it to Mr Edmund Wood who resumed the chemist's business until about 1870. Then John Sims acquired these premises and number 2, next door, for his bakery. Mr Sims not only baked here but was also a corn factor, or dealer, perhaps continuing a family trade carried on by Thomas Sims at 5 Montpellier Retreat in 1830. By 1892 Sims was already an institution in Suffolk Parade and they were then trading as bakers, corn factors and seedsmen from the double-fronted shop. 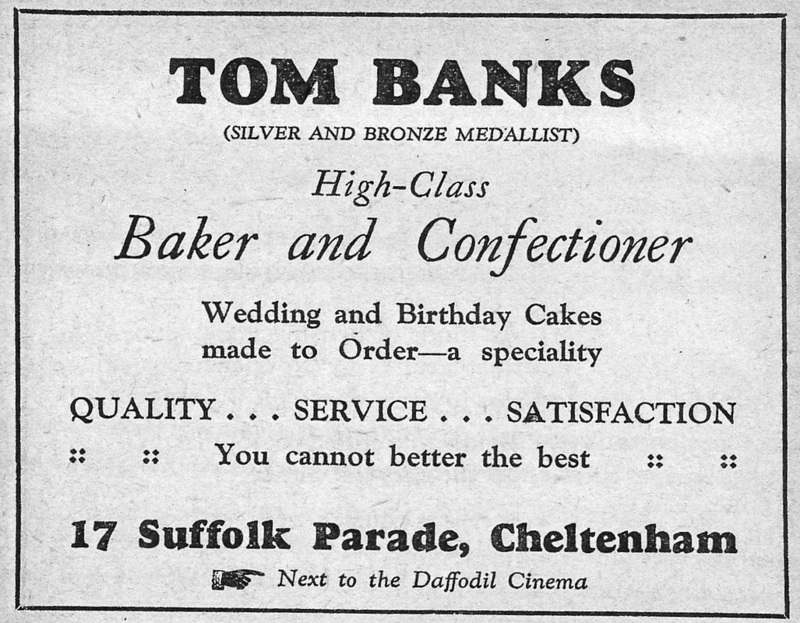 They also had a branch at Montpellier Exchange, advertising themselves as confectioners, producing fancy goods such as wedding cakes, ices, jellies and blancmanges. The business closed in the mid 1930s and the premises was divided back into two shops, this one remaining a bakers and confectioners under Mr Tom Banks. He was here throughout World War II and passed the business on to Walter Raven in about 1950. The bakery trade finally ended here in the late 1960s and by 1975 this property housed one of the many antique shops that have graced Suffolk Parade, called A. Brook, Antiques. 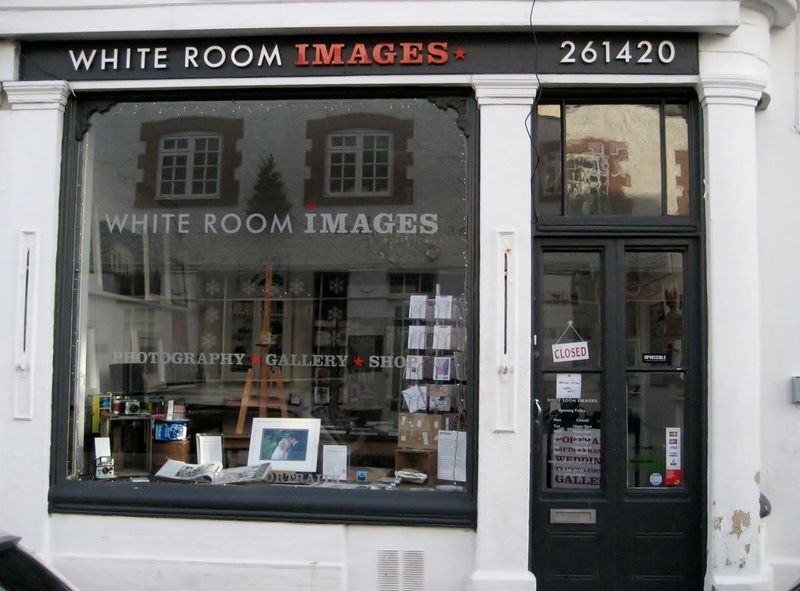 In the early years of the 21st century this was the home of White Room Images, which produced wedding and portrait photography and was owned and managed by David Dare. 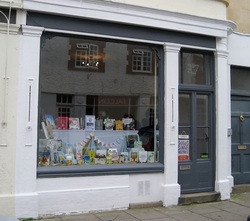 In February 2015 the shop changed hands once more to become The Suffolk Anthology, an independent bookshop and cafe owned by Helene Hewett.